How do you activate your pay2d card basic? 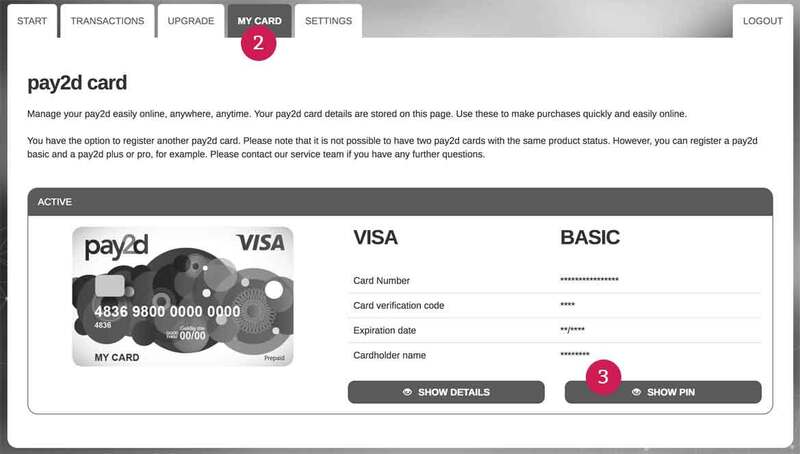 Click on the Activate MY CARD button. Fill in the top-up number on the back of your card. Fill in your mobile phone number. Repeat the characters from the Captcha. 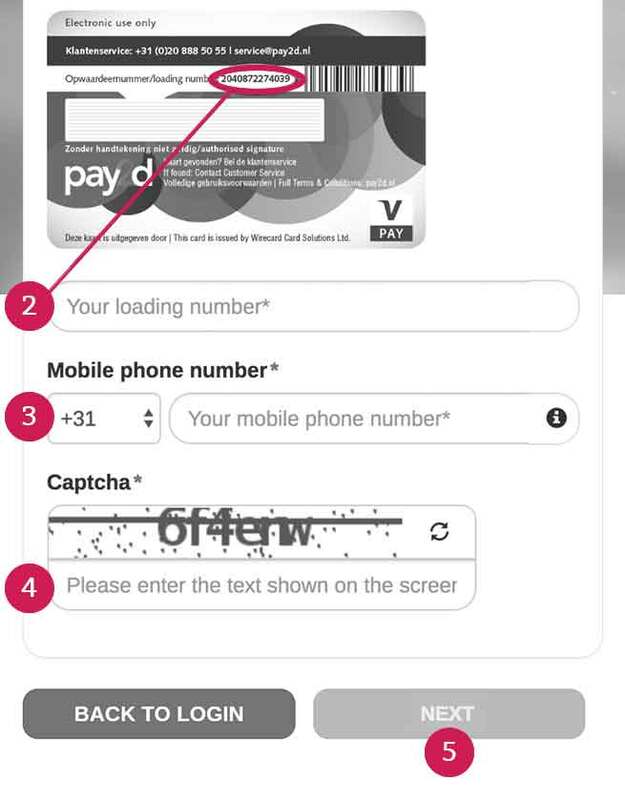 Enter the code that you received by text. Enter the last 4 digits of your Visa number (front of MY CARD). Your card has been activated! If you’d like to use your pay2d card to ‘pin’ in shops and restaurants, you require a pincode. You can retrieve this code in your pay2d account. Log in to your account with your top-up number (back of the card) and your chosen password. Scroll down to ‘Show Pin’. Your code will be displayed! How do you reload your pay2d card basic? Click here for more information on upgrading your pay2d MY CARD from basic to plus and learn how you can top up.